There are 100s of different ways to find value stocks. Do it wrong, and the stock implodes in your face. How do you know what to pay attention to and why? Between 2011 and 2017 we made and exited 26 different investments. Every single investment we made was profitable. My clients made millions of dollars in profit. 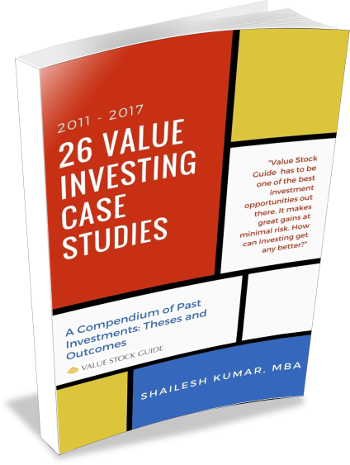 These 26 value investing case studies give you my exact techniques and approach. Imagine knowing exactly how to approach each investment and eliminating 80% of your mistakes, naturally, as you start to think like a savvy value investor. 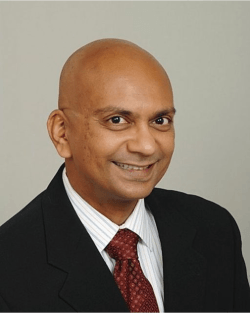 I am an Engineer, MBA, ex-Management Consultant, former CFO, and a business owner. I have seen first hand, most types of operational and financial situations companies find themselves in. I believe that my advantage over other investors and wall street comes from having actually owned, managed and being closely associated with the kind of businesses I invest in. I do not just analyze data - I can also understand the management decisions and challenges, and can estimate the impact of these on the future of the business. 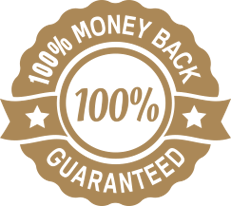 You are fully protected by our 100% Satisfaction-Guarantee. If you are not satisfied with research and material presented, just let us know and we'll send you a prompt refund. P.S. : At Value Stock Guide Premium, our members collectively invest many millions of dollars in each recommended idea. This has resulted in a rich track record of successful investments of different types. Do you want to learn the techniques that have actually worked in the market? Then these value investing case studies are just for you. Get them now!